According to a report on the BBC website today, the Education Endowment Foundation has found that calculators can help students become better at problem solving. Rather than hindering children, calculators can actually help to develop children’s arithmetic skills, when taught properly. This is very pleasing news to me as, since ministers banned the use of calculators in national maths tests for 11-year-olds in England from 2014, sales of our book How to be Brilliant at Using a Calculator have been sluggish, to say the least. Since then I have considered many times making the book go out of print. However, every time I’ve looked at the book I’ve been impressed again at the excellent activities in it – so the book has stayed in print. Maybe sales will now pick up! I hope, if you are Welsh, that the headline caught your eye – especially if you are in one of the 22.7% of Welsh primary schools that teaches through the medium of Welsh. 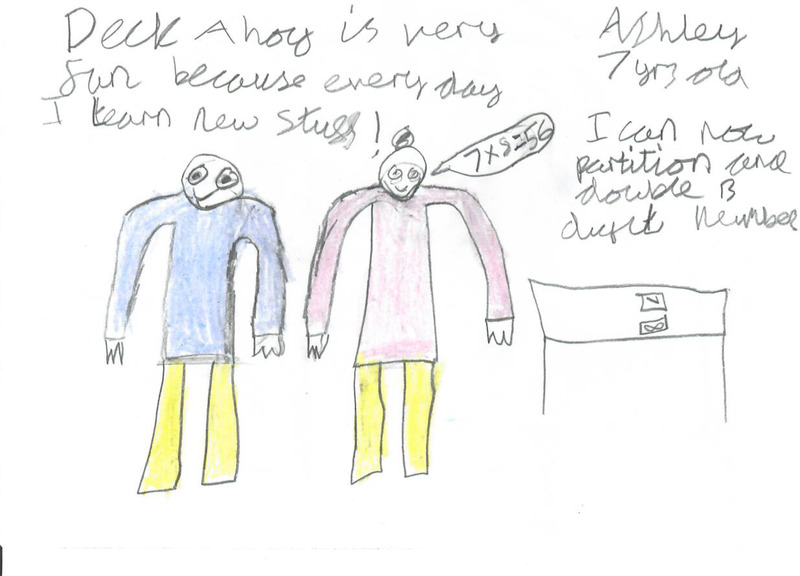 At Brilliant Publications we realise that it is sometimes difficult to find resources to teach maths through the Welsh medium. 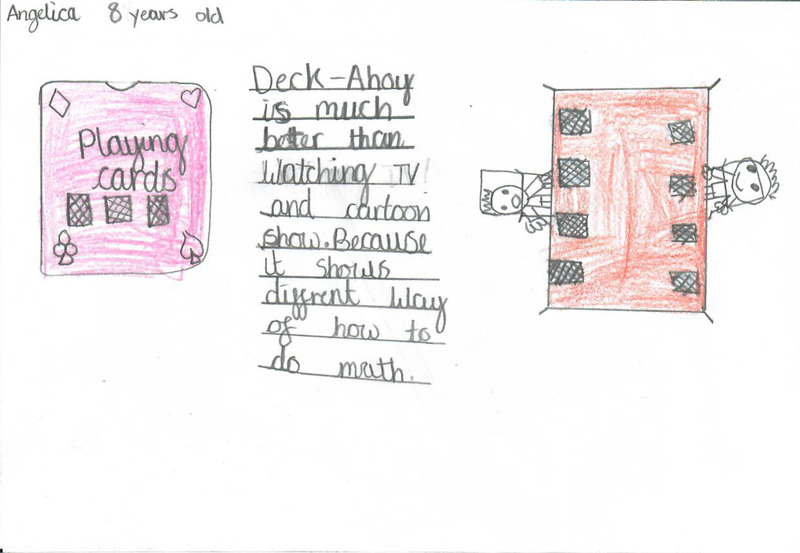 This is why we decided to translate our highly successful maths series, Maths Problem Solving, into Welsh. The Welsh books are linked to the Welsh National Curriculum, making it easy to integrate the activities into your planning. The books contain differentiated worksheets, making it easy to use the book in a mixed-ability classroom. Mae chwe llyfr yn y gyfres Datrys Problemau Mathemateg. Ysgrifennwyd y llyfrau i athrawon eu defnyddio mewn gwersi mathemateg. Anelir y cynnwys at ddatblygu sgiliau datrys problemau. Anogir plant i ddewis a defnyddio ffeithiau rhif a strategaethau meddwl perthnasol i ddatrys problem fel a nodir yn y Fframwaith Rhifedd Cenedlaethol. Mae’r llyfr hwn wedi’i rannu’n dair pennod; Datblygu ymresymu rhifyddol, Datblygu ymresymu rhifyddol: Adnabod prosesau a chysylltiadau a Defnyddio sgiliau rhif. Cynlluniwyd y llyfrau fel bod gan pob adran chwe cham o gwestiynau i’w hateb. Rhennir pob cam yn dair lefel, er enghraifft 1a, 1b neu 1c, yn seiliedig ar gyrhaeddiad. Mae pob cwestiwn cyfatebol o’r lefelau hyn yn dilyn yr un llinell o gwestiynu, felly pan mae’r athro yn siarad am gwestiwn penodol mae’r broses o ddatrys yr un fath i bob lefel ond mae’r cymhlethdod yn amrywio. Do your maths lessons need a superhero (or two)? 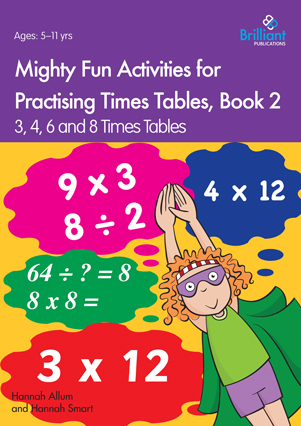 The Mighty Fun Activities for Practising Times Tables series uses superheroes to motivate primary school children to practise all the skills needed to solve multiplication, division and word-based times table problems. Superheroes appeal to even the most reluctant of learners and instil a positive and competitive attitude towards learning. 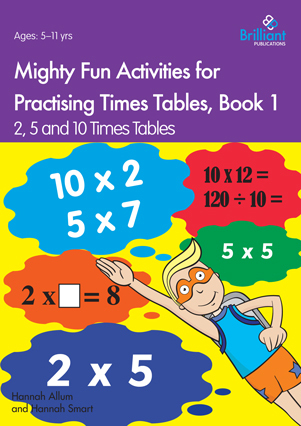 Your pupils will be eager and motivated to want to learn and practise their times tables. Practise Times Tables – no paper needed! When we think of practising times tables, we often think of chanting in unison or working through endless pages of multiplication problems. But is this the best way to teach the times tables? In fact, drilling children in their times tables doesn’t necessarily help them to understand the mathematical concepts that underpin multiplication. 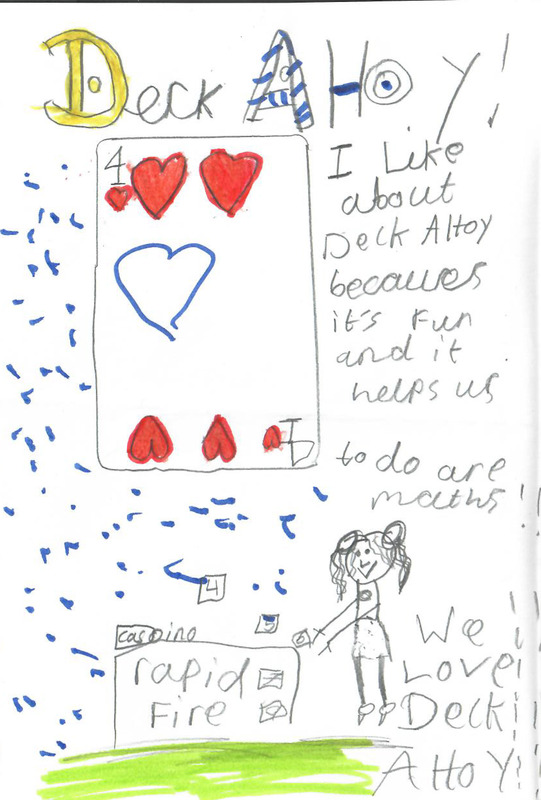 Children need to be able to conceptualise the maths involved if they are to develop fluency in the times tables, able to recall and apply them rapidly and accurately. 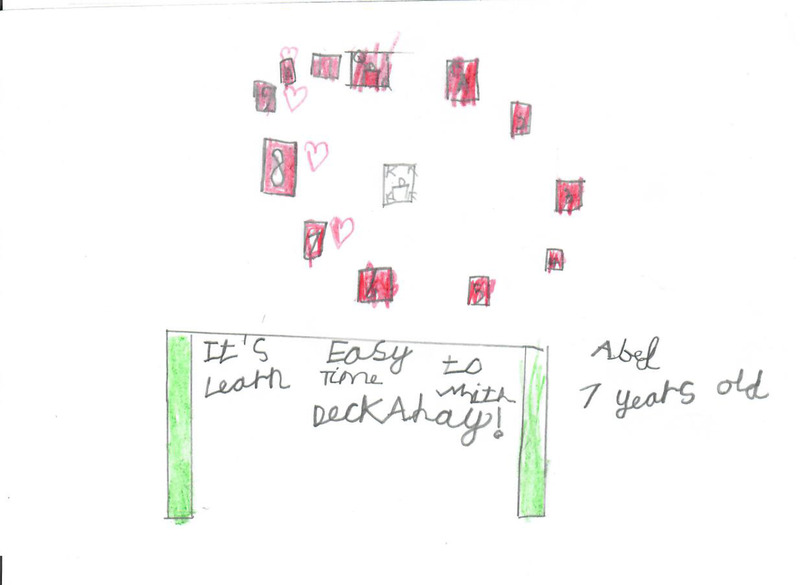 This is why we decided to publish Fun Games and Activities for Teaching Times Tables. 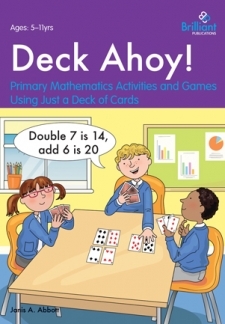 This book takes an active approach to learning times tables, providing stimulating and imaginative games to make the process of learning the times tables both effective and fun. Games to teach children the different factors that can make up each answer. 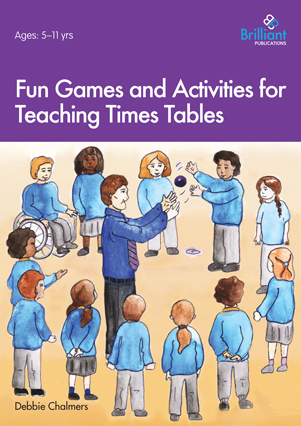 The games require minimal preparation and ensure that all children gain a firm understanding of their times tables and will be able to recall them quickly and easily.